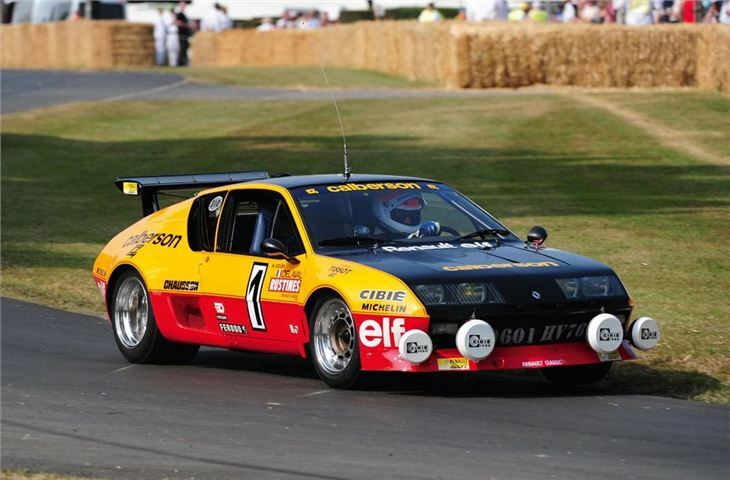 Renault will show off its race and rally heritage at the Goodwood Festival of Speed which starts later this week. In fact the French firm is able to span more than a century of motorsport with the 1902 Renault Type K which will take to the famous Goodwood hill once again. The Type K brought Renault its first international racing victory in 1902. The company entered three cars in the Paris to Vienna race. The Type K’s low weight was a real asset on the races hilly roads, and brought Marcel Renault victory, covering 807 miles at an average speed of 38.8mph. Also on the hill will be the 1984 Renault R5 Maxi Turbo (above). A rally rival to the Lancia Stratos, the diminutive 5 was chosen as the unlikely basis for a small, light and ferociously fast new mid-engined car. The idea was to move its engine from the front to the middle to improve its traction and handling. The result was a rather strange looking 5 with swollen wheel arches and turbocharged 1.4 litre engine with. The Rally Championship rules required that this weirdly appealing little car enter production, in the process creating one of Renault’s many legendary performance machines and a highly collectible car today. The Renault 5 Maxi Turbo scored its maiden win on the 1981 Monte Carlo rally, and remained a potent force until the all-wheel drive Group B cars arrived. 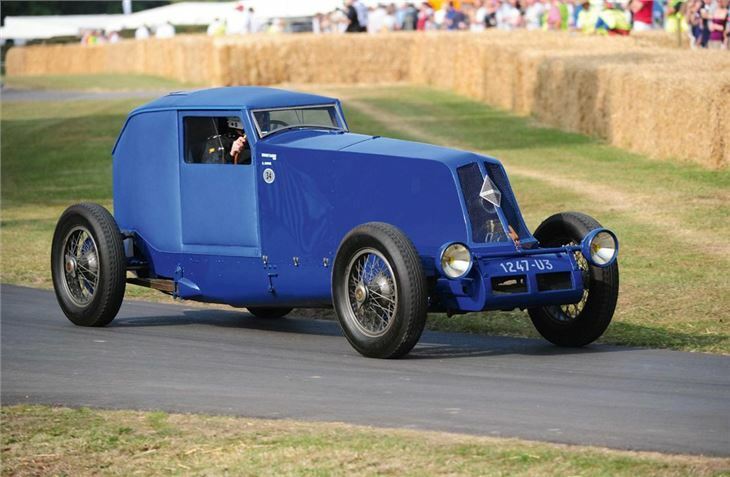 Other Renault cars at Goodwood include the spectacular 1926 Renault 40CV Type NM des records - a 9.0-litre car developed for speed trials with a single seat, streamlined coupe bodywork, exposed wheels and a 14-strong crew trained in the art of refuelling it. It covered 50 miles at 118.1mph and went on to achieve a 24-hour average of 107.9mph. 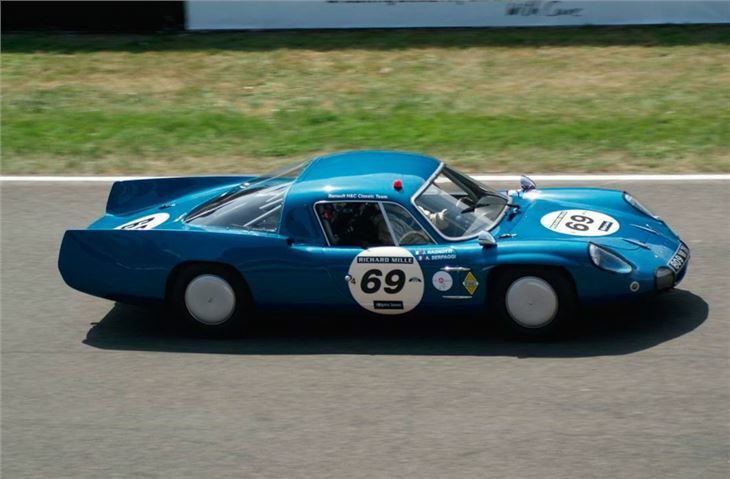 There will also be the chance to see the 1965 Alpine M65 which will also compete in the 2014 Le Mans Classic along with the Alpine A310 Groupe B which will be performing over for the first time since its retirement in 1977. 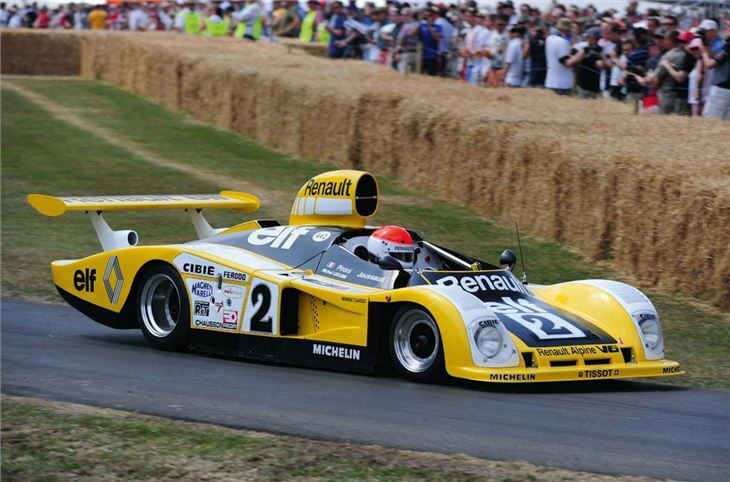 The 1978 Alpine A442B Le Mans car can also be seen in action. Alongside the three Alpines will be the famous Renault RE40 Formula 1 car (below) from 1983. The RE40 was Renault’s first Formula One car to use a carbonfibre tub, this lightweight material and sizeable wings intended to counter the banning of ground-effect aerodynamics for the 1983 season. 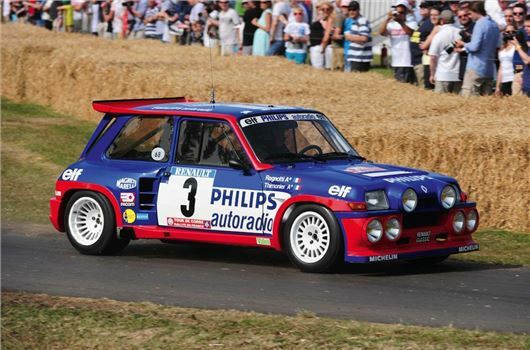 The RE40’s cause was further aided by Renault’s now long-running 1.5 litre turbo engine, which was by now running twin turbochargers to achieve a spectacular 880hp. Alain Prost was runner-up in the world championship, scoring four wins from 14 races, three pole positions and three fastest laps.